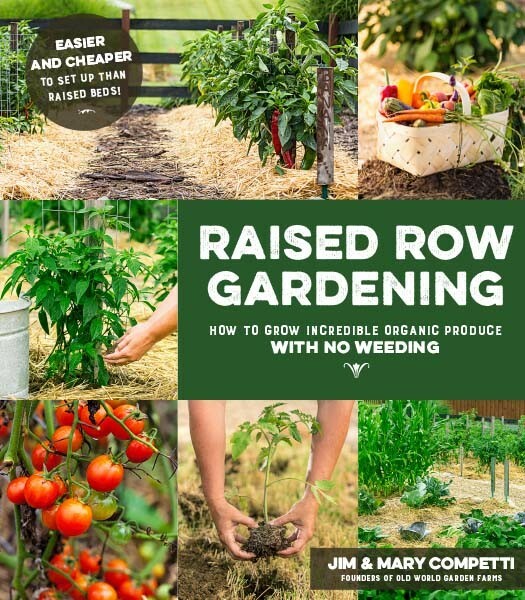 For homeowners young and old looking for the easiest and most affordable way to grow incredible vegetables, the Raised Row method shared in this breakthrough book puts it all together! Raised Row Gardening – How To Grow Incredible Produce With Little To No Weeding! Ever since we first began to implement our Raised Row Gardening techniques in our backyard garden some 7 years ago, we have been stunned at how amazingly simple vegetable gardening can be! And as we started writing and speaking about it to others, the method simply took off! Raised Row Gardening is THE answer to having great home-grown produce without having to spend countless hours weeding, tilling, hoeing and spraying. A Raised Row Garden uses just soil and mulch to create raised growing rows and walking rows that are easy to maintain, contain little to no weeds, and produce amazing results year after year! No need to ever till, and no need for expensive raised beds. Just pure simple gardening with little to zero weeding! For the past 12 months, we have worked with the editors and photographers of Page Street Publishing (a division of McMillan Publishing) to put every concept of our simple, organic, and low maintenance Raised Row Gardening method together. It has been one amazing experience, and one that we know will help gardeners of all ages to create the ultimate low-maintenance vegetable garden they have always wanted. From how to set up an initial garden, to planning, planting, cover crops, composting and more – the Raised Row Gardening Book is truly the ultimate guide to low maintenance, high yield gardening! The Raised Row Gardening book integrates our entire low maintenance gardening system in a step by step, easy to reference format, with tons of new tips and information. It is filled with beautiful full color photos and diagrams, that help the reader understand Raised Row Gardening is a simple, straightforward way.